Rocky Rex's Science Stuff: Climate Change - Can climate change increase earthquakes and volcanic eruptions? Climate Change - Can climate change increase earthquakes and volcanic eruptions? 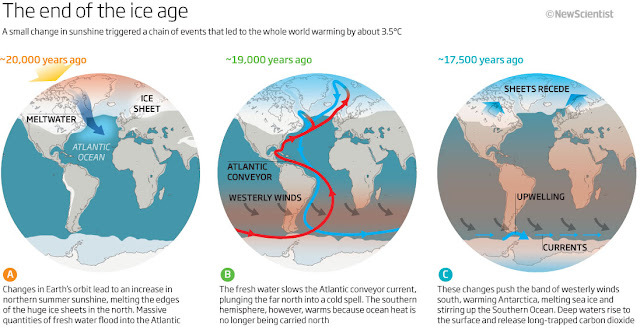 Between about 20,000 and 5,000 years ago, Earth slowly changed from the frigid conditions of an Ice Age, to the world on which our civilization has developed. As the ice sheets melted, colossal volumes of water flowed back into the oceans. The pressures acting on the Earth's crust changed as a result. The weight of ice on the continents was reduced, and the rising seas put extra water pressure on the seafloors. In response, the crust moved up and bent, creating extra volcanic activity, increased seismic shocks and giant landslides. So if we continue to allow greenhouse gas emissions to rise unchecked, causing serious warming, will our planet's crust react once again? In Alaska, climate change has pushed temperatures up by more than 3 degrees Celsius in the last half century, and glaciers are melting at a staggering rate, some losing up to 1 kilometre in thickness in the last 100 years. The reduced weight on the crust beneath is allowing faults to slide more easily, promoting increased earthquake activity in recent decades. The crust beneath the Greenland ice sheet is already rebounding in response to rapid melting, providing the potential for future earthquakes, as faults beneath the ice are relieved of their confining load. The possibility exists that these could trigger submarine landslides, making tsunamis capable of threatening North Atlantic coastlines. Eastern Iceland is bouncing back as its Vatnajökull ice cap melts. 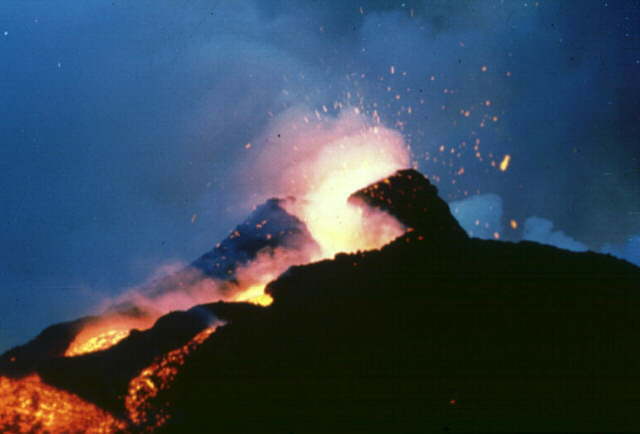 Research predicts a response from the volcanoes beneath. A rise in landslide activity will happen in the Andes, Himalayas, European Alps, and elsewhere, as the ice and permafrost that covers many mountain slopes melts away. As sea levels rise, the bending of the crust around the margins of the oceans might unlock coastal faults such as California's San Andreas, allowing them to move more easily. At the same time, the extra weight of seawater could act to squeeze magma out of undersea volcanoes. This post is based on the work of Bill McGuire, professor of geophysical and climate hazards at University College London.